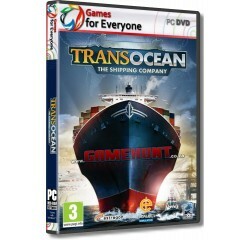 TransOcean - The Shipping Company - R120,00 : Game Hunt, Where we lead, others follow. Complex assignment management that always poses new challenges. 55 detailed harbors, 20 of which have iconic landmarks. 20 realistic ship classes with ships that have to be maintained. Exciting chance occurrences and global events influence what happens. Self-guided or automated mooring and casting off. Memory - 4 GB RAM (Windows 7).